Now Pattaya Publisher Rips Off Thai Government B.O.I. Promo! 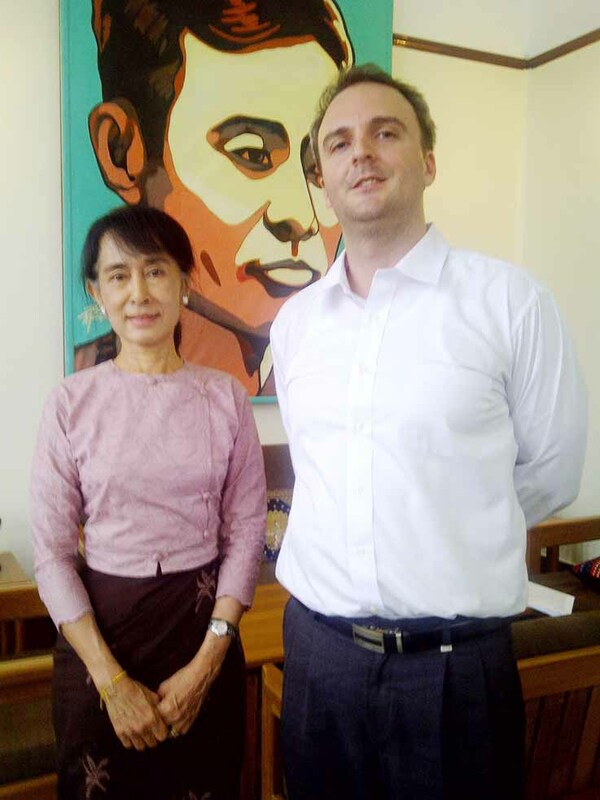 In the almost inevitable international escalation of the controversy over a human rights report, which criticised the treatment of Burmese workers in Thailand, and the dubious use of Thailand’s ill considered libel laws, Human RightsWatch in New York have now come out in support of Briton Andy Hall. Hall, 33, from Spalding, Lincolnshire, faces jail and a US$10 fine, for allegedly telling some ‘home truths’ about Thailand’s labour industry. Neither the British Embassy or Foreign Office have commented. (New York, April 10, 2013) – Criminal defamation charges against a prominent labor activist violate his right to free speech and will have a chilling effect on investigations of alleged rights abuses by companies in Thailand, Human Rights Watch said today. Proceedings in the case, brought by a fruit processing company before the South Bangkok criminal court, are scheduled for April 11, 2013. The charges stem from a defamation complaint filed on February 14 by the Natural Fruit Company Limited against Andy Hall for an investigative report about serious labor rights violations at the company’s factory in Prachaub Kirikhan province. If convicted, Hall faces up to two years in prison. He is also facing civil damages of 300 million baht (US$10 million). 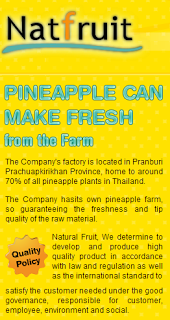 The Natural Fruit Company, which produces canned pineapple and juice concentrate using a workforce comprised primarily of migrant workers from Burma, asserted that Hall defamed and damaged the company by “broadcasting false statements to public media.” He was charged with criminal defamation under the Penal Code and the Computer Crime Act. Hall’s report, “Cheap has a high price: Responsibility problems relating to international private label products and food production in Thailand,” researched and written with the Finnish nongovernmental organization FinnWatch, investigated the production practices of private label juices and fruit sold in Finland, including by Natural Fruit Company Limited. Based on field research and interviews collected in November 2012 from employees of the company’s Prachaub Kirikhan factory, some of whom were undocumented migrants, the report alleged that Natural Fruit Company Limited had committed serious labor rights abuses, including poor working conditions, unlawfully low wages, confiscation of workers’ official documents, use of child labor, and excessive overtime. Hall and FinnWatch said that they conducted the interviews confidentially because the workers feared the company would retaliate against their participation in the research. They said that they contacted Natural Fruit Company Limited repeatedly during the course of their research to discuss preliminary findings, but the company did not respond to these requests. Human Rights Watch, along with an increasing number of states and international authorities, believes that criminal defamation laws should be abolished, as criminal penalties are always disproportionate punishments for reputational harm and infringe on free expression. Criminal defamation laws are open to easy abuse, resulting in very harsh consequences, including imprisonment. As repeal of criminal defamation laws in an increasing number of countries shows, such laws are not necessary for the purpose of protecting reputations. The fundamental human rights and labor rights of workers in Thailand’s key export sectors, such as shrimp, tuna, and fruit processing, have been regularly violated over the years, Human Rights Watch said. Migrant workers in particular receive little protection from Thai labor laws. A migrant worker registry and “nationality verification” scheme provides legal documentation for workers, but does little to counter the impunity with which employers violate such workers’ rights. Migrant workers remain extremely vulnerable to labor exploitation, physical and sexual violence, and trafficking. Yet responses by the Thai authorities have in many cases been inadequate and ineffective. If the charge is “broadcasting false statements to public media.” this is simply proven unfounded, by demonstrating that the statements were not false. If the charge is damaging the companys' reputation, irrespective of whether the statements are true or not, that is a different question. Perhaps the company should be made to show that def would have known that he would be damaging the companys' rep., by telling the truth about it. Would it help to have a lot of witnesses at the court hearing? I can't come – too far away, praps many in BKK could attend? From the above: "Human Rights Watch, along with an increasing number of states and international authorities, believes that criminal defamation laws should be abolished …"
Maybe so. But those laws are still in play as of today. There could have been ways to get the desired results regarding the alleged labor abuses without giving a middle finger to the laws in Thailand currently on the books. Countries such as Thailand are making dynamic strides forward in so many ways, but what I feel drags them back are there feudalistic ways such as this.